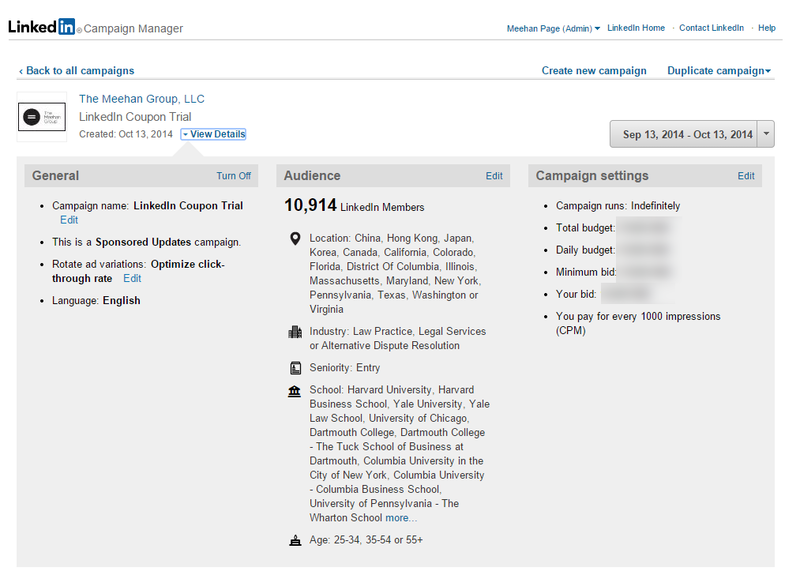 I decided to take LinkedIn up on its offer of an advertising coupon. The registration part was normal enough, though it did take a few minutes’ worth of tapping on the keyboard. (There are indeed some tasks one doesn’t want to do on mobile!) But the real fun was in developing an audience segment to address. The brand voice for The Meehan Group is cerebral and quirky — slightly indirect, at times, but the distance of the indirection is paid-in full by the time the reader reaches the payload, and, as students of reader response criticism would note, the re-presentation/re-framing of the point is precisely what makes it pop and stand out in the reader’s mind. Live simultaneous interpreters are costly, but to the people who hire them, they’re indispensable. Quality, not price. So, for the segmentation exercise I targeted highly educated alumni of select prestigious schools — based both in the U.S. and in Asia (Japan, Korea, Greater China). No projection of personal background onto the matter. Strictly professional. Honest. Watch this space to see how it works out — and to discuss analytics and data integration issues.